Jane attended Randolph-Macon Woman's College and Oxford University in England and graduated from Tulane University with a B. A. in English Literature. After completing graduate courses at Tulane, she received her teacher's certificate and taught school for several years. In 1973 she moved to Corpus Christi, raised three daughters, and spent the next several decades as a community volunteer. During this time Jane was an active volunteer in educational endeavors in Corpus Christi. She was a member of the Corpus Christi '90 Education Task Force and was named the Chairman of two subcommittees: one on Higher Education that led to the four-year university, TAMU-CC; and one on Literacy, which led to the founding of the Corpus Christi Literacy Council. 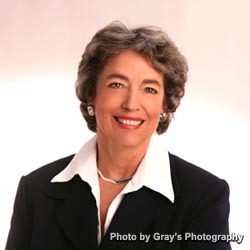 Jane was the first Chairman of the CC Literacy Council (from 1986 to 1988) and wrote grants, researched, developed, and implemented the literacy program. After completing the Tutor Trainer Certificates for both the Literacy Volunteers of America and the Laubach International methods of literacy training, she trained the volunteer tutors for the CC Literacy Council one-on-one adult reading program. In 1989 she became an adjunct instructor in English at Del Mar College. At the same time she began tutoring middle and high school students privately in her home – this was the beginning of what would become Dynamic Learning Opportunities, Inc. In 1993 Jane went back to school and in 1994 graduated with an M. A. in English from TAMU-Kingsville. She taught freshman composition and rhetoric, sophomore literature, and technical and professional writing at TAMU-Kingsville from 1994 until 2000; for three years of that time she was the coordinator of the Writing Across the Curriculum Center and the Computer Classroom, hiring and training tutors who helped students with their writing. From 2000 to 2004 Jane was half-time instructor of English at TAMU-CC. She was part of the award-winning First Year Learning Communities Program. Now retired from the TAMU System, Jane continues her work in the education field through Dynamic Learning Opportunities, Inc.